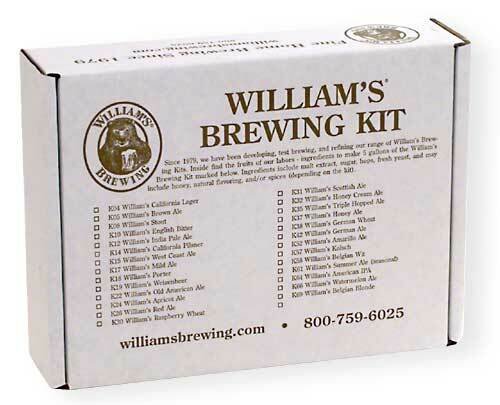 William's Honey Cream Ale started out as a traditional mild, sweetish American-style cream ale made with corn as well as barley. The hop flavor is on the mild side, with just enough to balance the delicate pale malt and corn flavors. The addition of our unpasteurized orange blossom honey (at the end of the boil to preserve aroma) is what gives this beer an added depth of flavor and complexity, the honey increasing the body, sweetness, and complexity without overwhelming the delicate hop crispness. Click on the more info button above for a picture of this beer after two weeks in the bottle. Alcohol: 5%, IBU's 26. Includes 8 pounds of our blended malt extract and orange blossom honey, selected aromatic hops, 125ml of liquid yeast, and corn sugar for carbonation. Makes 5 gallons with a starting gravity of at least 1.052. Ease of Brewing: Beginner. This shows our Honey Ale after 2 weeks in the bottle. I brewed this beer for my son's wedding last fall. It was so crisp and refreshing, just perfect for our "Indian summer". This beer is perfect for adding flavoring, or just sitting on the beach and drinking a bottle. I have bought this beer since and will probably buy again in the future. Light easy to do beer with great flavor. Perfect for a summer brew. Grew up on Genesee Cream Ale and thought this would be an interesting twist on what I remembered. I prefer more IPA and Pale ales so the sweetness was to much for me. My beer drinking brothers thought the same. Ended up giving it all to my neighbors and it got good reviews from the ladies. Would not do again and would recommend using half the honey. The honey seemed to overpower the cream ale flavor after a few sips. 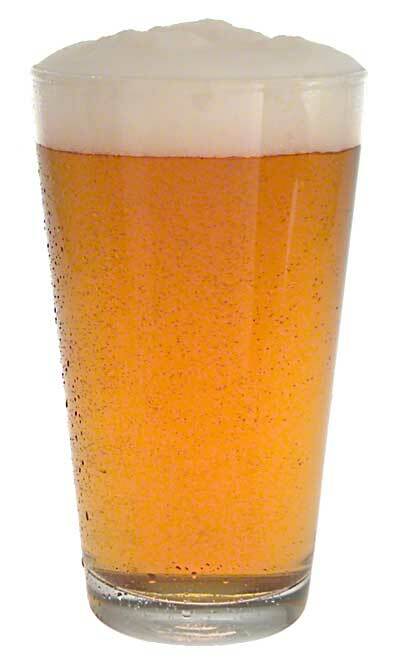 I have brewed 3 different types of Cream Ale. 2 by other suppliers and adding honey separately and the last from Williams with the honey included inn the kit! This one from Williams was by far the best! I'm just about ready to brew another batch!